We have had the joy of moving into Mudflower with tonnes of rotting fruit everywhere, Damo has been out there with shovel and bags collecting it all up in the 40+ degree heat. Very little fruit is left edible, which is just so sad. 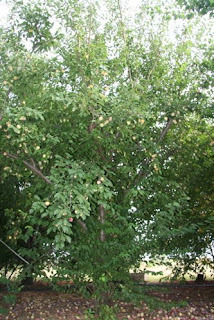 But there was a plum tree covered in yummy goodness. 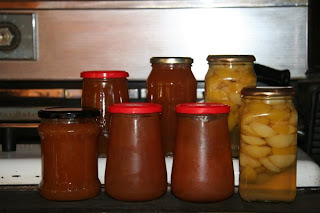 Yesterday I collected a bucket full and turned them into some yummy jam and preserves. 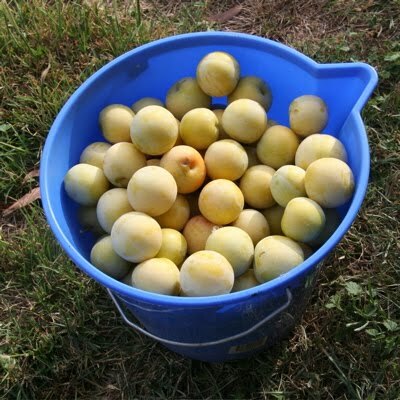 Have collected another overflowing bucket full today that is now in the dehydrator and the rest will be turned into some plum sauce and plum chutney. Will share pictures of those results tomorrow. Recipe for Plum Jam in the Microwave 7/9/01. Bunty. 1. Halve and stone plums, place in a large dish with the water and microwave for 8 - 10 mins on High until tender. 2. Add sugar an stir. 3. Cook on High for 2 mins. Stir. 5. Cool slightly and pot. 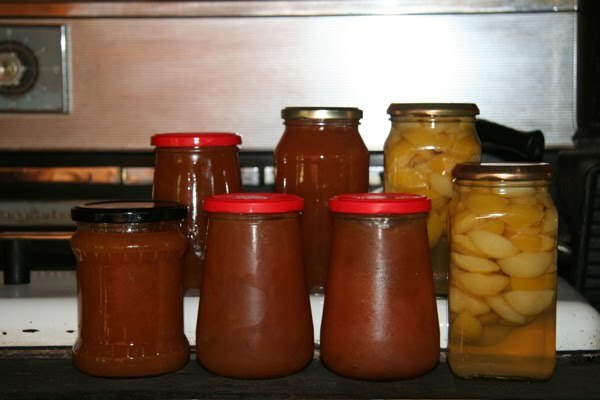 I have successfully been making my jam this way since 1982.